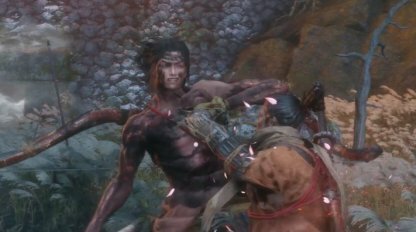 Check out this Sekiro: Shadows Die Twice guide on how to beat Isshin, the Sword Saint. Info includes gameplay tips, recommended Prosthetic Tools & Items, boss moves and attacks. A powerful Skill to use against this enemy's Perilous Attack. This will do big Posture damage and can increase your chances of dealing a Deathblow. 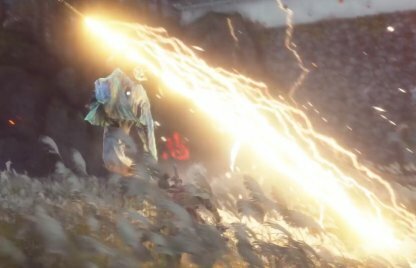 Check Out All Skills & Effects Here! Though not essential in this fight, this is useful to have in battle. It can help you avoid wide ranged attacks that are difficult to parry. 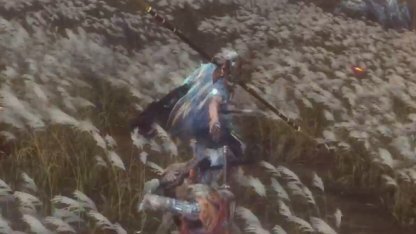 The 1st phase of the battle can be looped just like Genichiro Way of Tomoe. 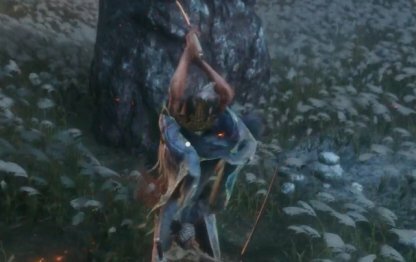 The 2nd phase fortifies Isshin's defenses but you can deal Posture damage with the Mikiri Counter. At the 3rd stage, you can fight back as long as you use Lightning Reversal. After beating Genichiro, Way of Tomoe, the fight with Isshin, the Sword Saint will immediately start. 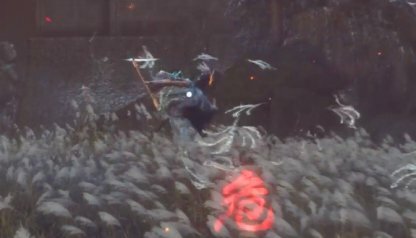 Being defeated by either of the two bosses will force you to fight Genichiro again. If you're in close to Isshin, he'll do a sweeping sword strike followed up by a Perilous Attack. 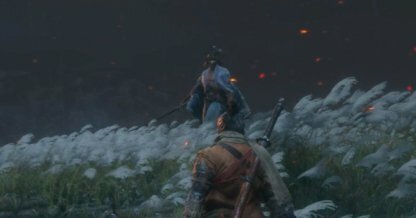 You can parry the first sword strike and you can avoid the Perilous Attack by jumping. If you're a distance away, he'll attack with 2 consecutive slashes, so aim to time your moves well. When Isshin is a medium distance from you, he'll hold and charge with two consecutive unsheathe strikes. Aim to parry twice in order not to get damaged. When Isshin charges up and you see white smoky waves around him, he'll send vacuum strikes towards you. You can avoid by dodging - move behind him to land a few hits. After 2 guards, Isshin will deliver strikes of his own. Be on your guard and parry when he does this, allowing you to increase Posture damage on him. When Isshin raises both his arms, he'll do an overhead sword slash and continue with a couple of hits. Dodge to the side to avoid the first strike, then move to his side to deal attacks of your own. After guarding your attacks twice, Isshin will pose and get ready for a Perilous Thrust Attack. This is a great opening for you to use the Mikiri Counter to deal massive amounts of Posture damage on Isshin. Isshin will charge up with white smoke again and send it out in a wide spiral around him. This is difficult to dodge so use your Mist Raven or keep distance to avoid damage. After swinging his sword from the left waist, Isshin will make 3 consecutive sword strikes then a Perilous Thrust Attack. You can dodge to avoid this attack then just Mikiri Counter the Perilous Attack to do Posture damage. When Isshin strikes with his sword from his right to the left, he'll do a spin move and push attack. Dodge to avoid the sword swing & spin move, then use Mikiri Counter for dealing Posture damage during the Perilous Attack. When Isshin takes a step back, he draws out his gun & does 4 shots then finishes up with a Perilous Attack. Parry the 4 gun shots then use your Mikiri Counter to defend yourself from his Perilous Attack. This attack is easily avoided by stepping or dodging to the side. Quickly move to Isshin's side to deal some attacks after he does the slash. Swinging his arm down from his left shoulder, Isshin will do 3 consecutive sword strikes. If you can time it well, you can parry these 3 attacks. Otherwise, it's hard to find openings to counter this move. When Isshin tries to hit you with his lightning attack, jump and then press R1 to do your Lightning Reversal. If you time it well, you can stun Isshin and hit him while he's electrocuted. Isshin will do 2 air slash attacks among all the others he does. Use your Mist Raven or dodge to avoid getting hit, then close the gap to hit him after he does the attack.